Smoked garlic is like normal garlic that started working at a 1960’s ad agency and suddenly operates with a cool stoicism. Smoked garlic is basically roasted garlic with a bit of smokiness (do I have to even say this? Yes. #SEO). It gets some natural sweetness from the roasting process and then a smoky layer of flavor that is pretty dynamite. In case you’re wondering, “What can I do with smoked garlic?”: Smoked roasted garlic is the best time saver and flavor addition to any recipe you can think of that goes great with garlic, or could benefit from some smokiness. So far we have used roasted smoked garlic in mashed potatoes, a Spanish chorizo stew and alongside some simple sunny side up eggs. Smoked garlic cloves have basically become our new favorite ingredient (next to black garlic). Home smoked garlic lasts for up to a month, so it’s a pretty awesome make ahead ingredient. You can make a few smoked garlic bulbs at once, and often I’ll smoke a few things alongside it (salmon, potatoes, ribs, chicken etc.). It is also much tastier and cheaper than the typical smoked garlic for sale at artisanal markets, so no need to worry about where to buy smoked garlic. Additionally, smoking is not as scary as it sounds. 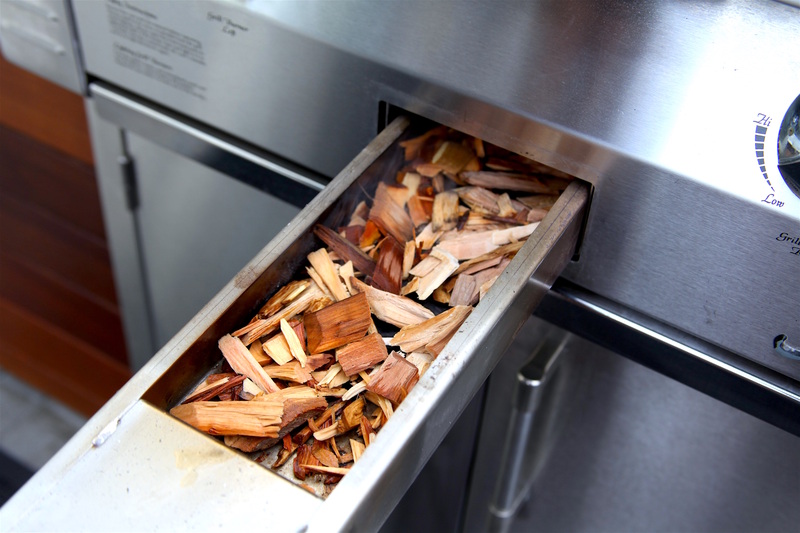 It’s a snap with a dedicated smoker and many grills these days come with a smoking tray where you can load up your wood chips or wood chunks. To start, you’ll want to pick up some wood chips. We used apple wood but you can use whatever you prefer. 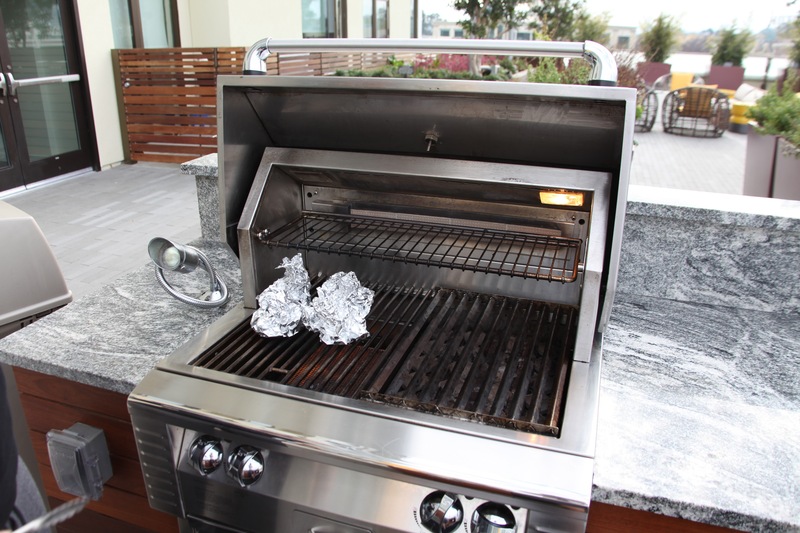 Be sure to soak your chips in water for 30 min – 1 hour before smoking. 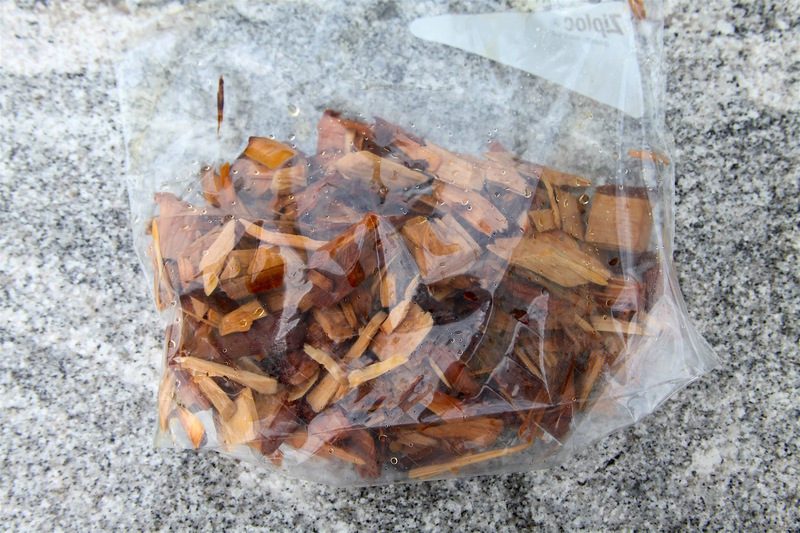 After soaking your wood chips, pat them dry and throw ’em in a bag to bring to your smoker. You’ll need to chop the heads off of your bulks, drizzle them in olive oil and salt, and individually wrap them. Next, load up your wood chips in the smoking drawer of your grill, or whatever method you use to smoke. We placed our garlic on the bottom rack to roast initially, then moved them to the top shelf to absorb more smoke. 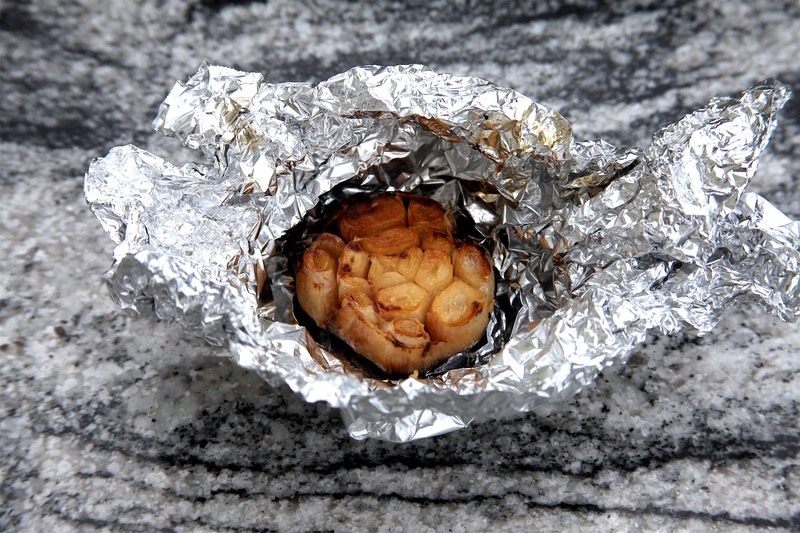 Learn how to smoke garlic with these smoked garlic instructions. 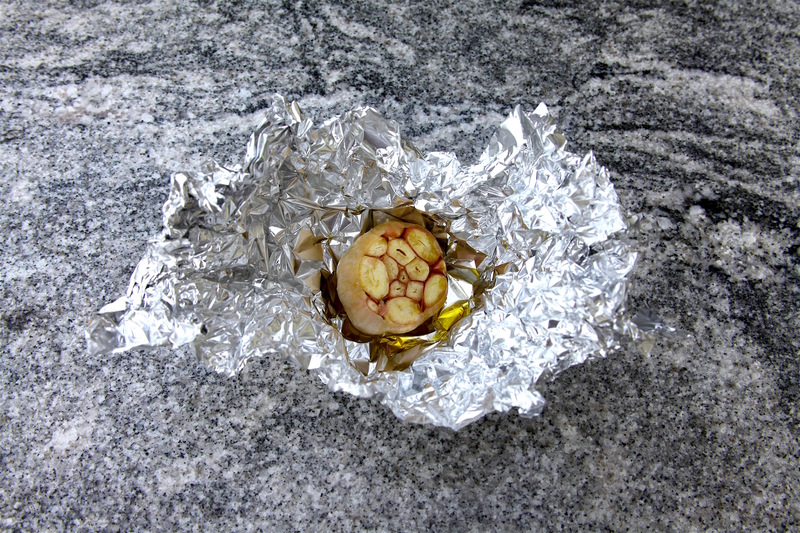 Home smoked roasted garlic bulbs have the light sweetness of roasted garlic plus a light smokiness. This smoked garlic recipe used apple wood and a grill smoker, but can be customized to your preferences. 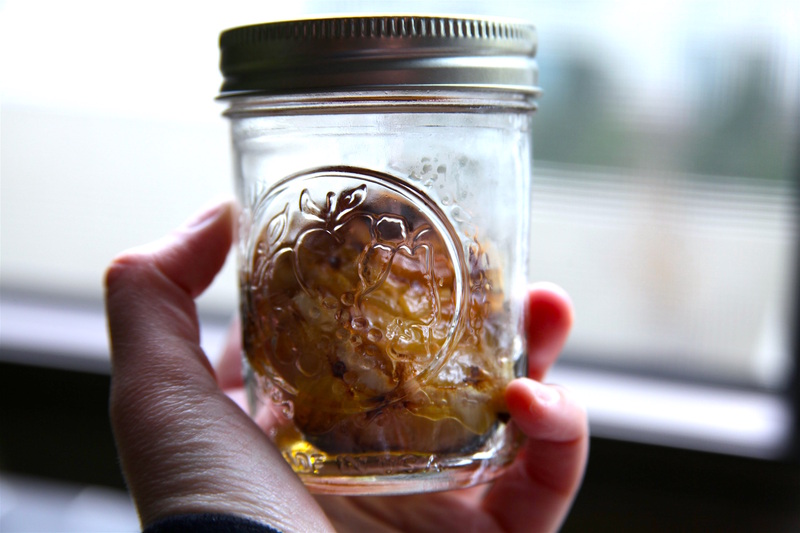 How to store smoked garlic: Place cooled bulbs in mason jar with olive oil. Feel free to drizzle extra olive oil on top if little is leftover from smoking. Store for up to 4 weeks. 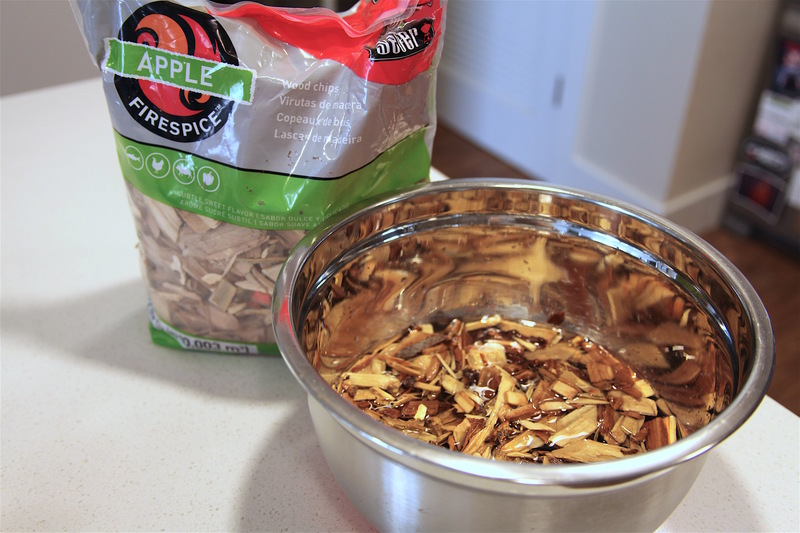 Add 3-4 handfuls of wood chips to a large mixing bowl. Add enough water to soak all chips. Let soak for 30 minutes. Pat down and place in bag to bring to smoker. Meanwhile, cut the heads off of all of the garlic bulbs. 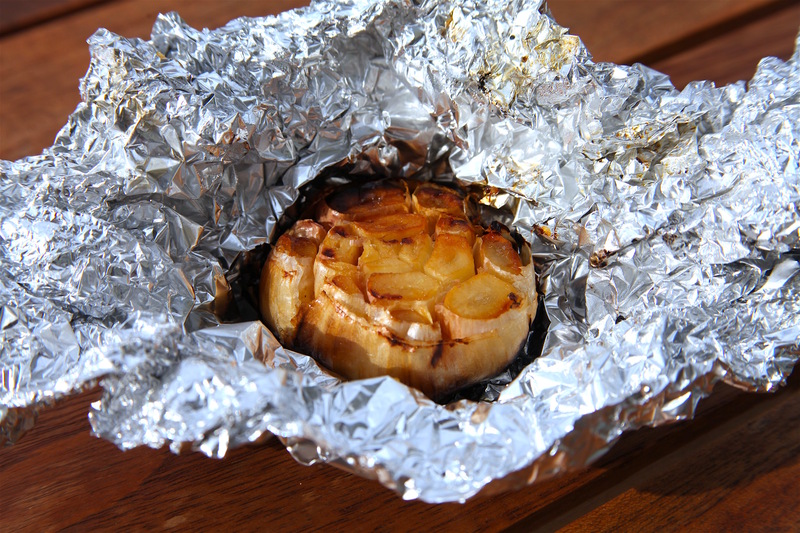 Place each chopped bulb on its own sheet of foil, and drizzle with olive oil and salt. Wrap in foil, making sure wrap is facing upwards to avoid oil leaks. Load smoker tray with soaked wood chips and pre-heat smoker for 30 minutes at 150-180 degrees F.
Place foiled bulbs on lower rack for 20-30 minutes to roast and then move to top rack to smoke. Let bulbs smoke anywhere from an addition 1-2 hours, depending on your preferred level of smokiness. Remove foiled heads of garlic from grill and serve immediately, or allow to cool and store in mason jars with olive oil for up to 4 weeks. Made home smoked garlic? Tag your garlic smoking photos with #PateSmith or share them in the comments for the chance to be featured onsite!